At CQUniversity we know that research is about new ideas, understanding the world around us and shaping the future. 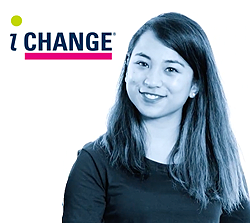 Whether you come from an academic, government or industry/practitioner background, if you’re passionate about a topic you’d like to explore further CQUniversity can help you turn that interest into a research project that can make a difference. Explore upcoming projects we’re actively recruiting in and our masters and doctoral research options below. Or, read about current research in our schools and browse projects from our current research candidates and be inspired to start your own story with CQUni. Discover research projects currently available for prospective higher degree candidates at CQUniversity Australia. 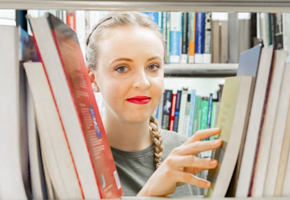 Explore the research scholarship opportunities for future research degree students. Keep up to date with course developments, new projects, upcoming events and important timelines in the application process by signing up to the RHD mailing list. The Graduate Certificate in Research provides an excellent pathway if you are interested in a research higher degree (RHD), but either don’t meet the entry requirements or would like to hone your research and investigative skills prior to starting your RHD studies. This course is aimed at professionals entering the research community from industry, government or the community and the content can be tailored to suit your current employment context and your area of research interest. Doctor of Philosophy (PhD) courses may be undertaken in any area in which supervisory expertise and appropriate infrastructure are available. The PhD is awarded on the basis of a thesis prepared under supervision that makes an original, significant and extensive contribution to knowledge and understanding in the relevant field of study, as judged by independent experts applying accepted contemporary international standards. Doctor of Education (EdD) is a professionally based research higher degree available through the University as an alternative to the traditional research programs. It offers a rigorous program combining structured research tasks and a thesis component. It is particularly well suited to those people who are already teaching in the education and training sector but desire new skills and the opportunity to create new knowledge in their field. The Doctor of Professional Studies is a research higher degree designed to produce innovation in commercial, government, educational and other applied settings. The course allows you to undertake applied research that is directly relevant to business and industry settings, compared with the more ‘theoretical’ research work found in the traditional PhD. This course will suit you if you have industry experience but have had less exposure to academic research settings. The course includes a series of structured research tasks followed by a research project with a thesis component. If you don’t yet meet the admissions requirements for a Research Higher Degree, our Graduate Certificate in Research can provide an alternative pathway for you to reach your research goals. Offered entirely online, this preparatory course can include content tailored to your area/s of research interest, and help you satisfy admissions criteria for a RHD. Find out more about the Graduate Certificate in Research at an upcoming online information session. The first step in the application process is to submit a Preliminary Proposal to our research team. This will be reviewed for suitability of topic and availability of supervision, following which you may be invited to submit a full application for admission. 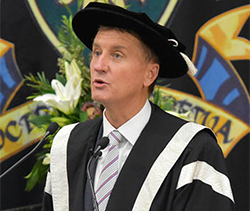 CQUniversity delivers research with real outcomes. Develop and consolidate your research skills and apply them in practical, real-world settings with a university that focuses on applied research in our local communities. With ratings at above and well above world standards across various research categories, you’ll become part of a strong and reputable research community. 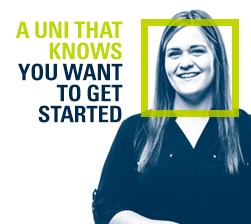 We’re a uni that believes a world-class education is not about where you study in the world, and our flexible study options reflect this. Pursue your RHD the way it suits you – full or part-time, online or at one of our many locations across Australia. What’s more, available scholarships could cover the cost of your tuition and living expenses. Gain a better idea of where a CQUniversity RHD can take you, what the costs are, how we can support you, and how to identify a research topic and prospective supervisor at an upcoming RHD Online Information Session. Alternatively, if you have a specific query you can Ask a Question and someone from our RHD team will get back to you.